Victorville to Helendale – California Historic Route 66 Association – Helping you get your kicks in California! The segment of Route 66 that stretches between Victorville and Barstow, which passes through the towns of Oro Grande and Helendale, is a great 38 mile (60 km) experience of rural and original Route 66 driving that is finally outside of the metropolitan area of L.A. Exit the busy freeway in either Victorville or Barstow and follow the signs for Historic Route 66 and get back on I-15 when you encounter it 38 miles later. It’s a great little break from any hectic road trip and there’s plenty of nostalgia and pop-culture to see along the way. 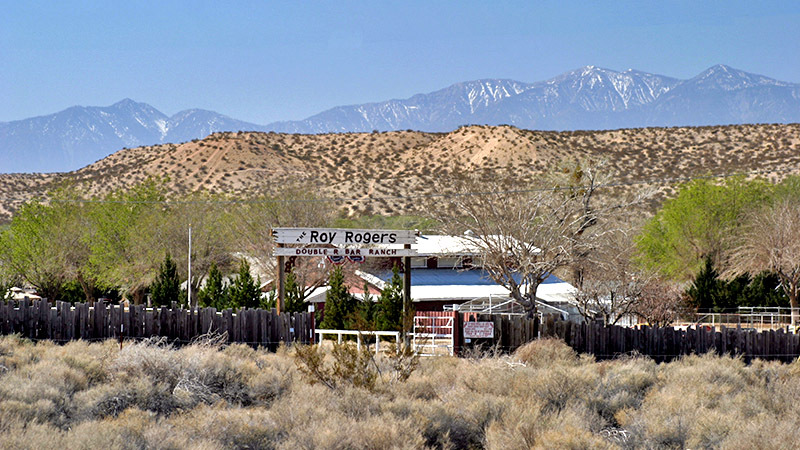 Between Los Angeles and Victorville, many of the original segments of Route 66, along with the nostalgic buildings, have been erased forever. 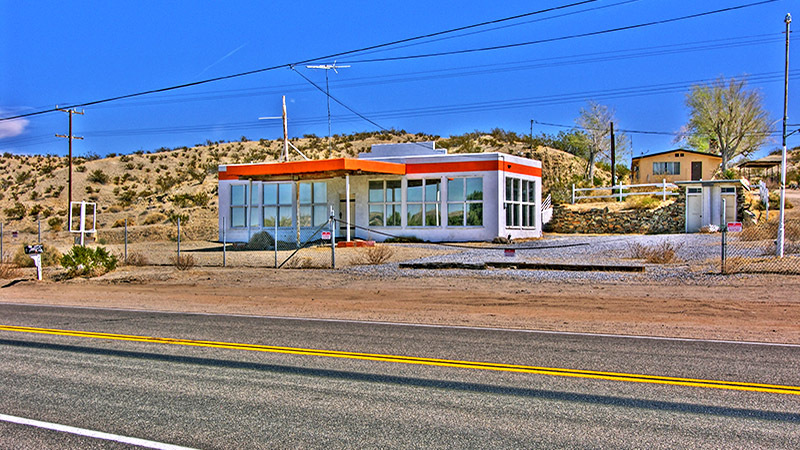 Starting in Victorville and going north however, much of what Route 66 used to look like back in its heyday still exists. It might take a little bit of effort to find, but with the help of this webpage, you can spot some historical sites. 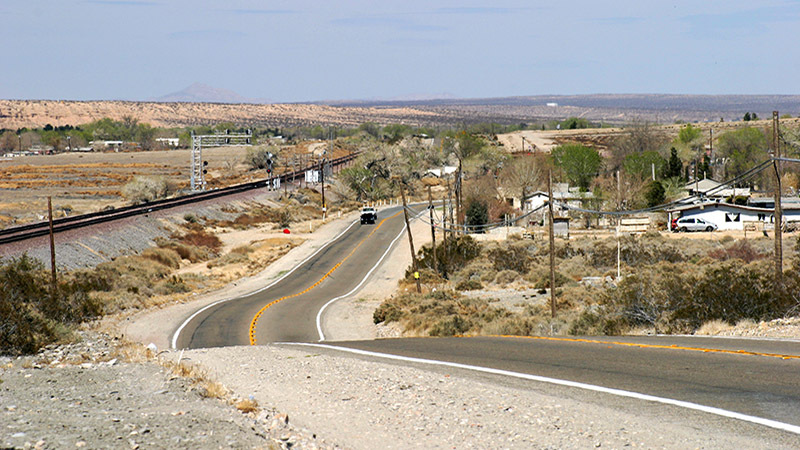 The driving instructions on this webpage travels Route 66 northbound from Victorville. If you are traveling southbound from Barstow, then you can certainly travel it this direction too. When driving this portion of Route 66, MAKE SURE that you are careful and mindful of the traffic along the route when you decide to pull over to take a closer look at the various sights. Between I-15 and Helendale, the road is very busy with traffic because of a large community near Helendale named Silver Lakes. Furthermore, there is a lot of truck traffic that uses the road to access a large cement factory in Oro Grande. If you have some time while you are in this area and want to learn more about Route 66, we recommend that you visit the fine folks at the museum in Victorville. The museum is well stocked with historic and interesting items related to the Mother Road. 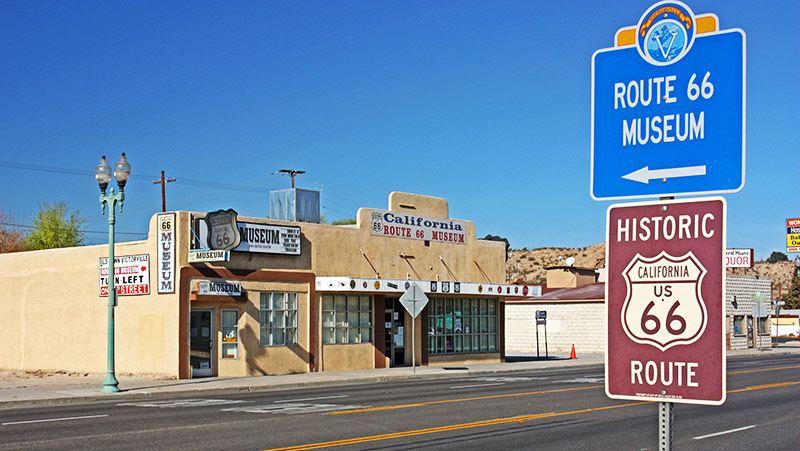 Read more about the museum on our section on the California Route 66 Museum. Starting at the museum in “Old” Downtown Victorville on D Street, head northeast towards I-15. Make sure to watch the virtual video tour below to learn where you will see points of interest along this segment of the road. Much of Route 66 that passes through California is also known as National Trails Highway. In some cases, it’s even known as National Old Trails Highway. This is what it was originally named before it got it’s official U.S. 66 highway designation. Keep this name in mind when referring to maps and street signs. After passing underneath I-15, you can’t miss the large cement plant on the right. The roots of this large factory began around 1910. Mining limestone around Victorville has been a key part of the local economy here for over 100 years. Originally, this was called the Southwest Portland Cement Company. It mined limestone from several quarries nearby, but now its main quarry is north of Apple Valley. It is serviced by a private railroad. This mine is now owned by a large Mexican company named Cemex. Not far after the cement plant, you’ll spot Hollandburger on the left. This famous eatery has been in operation for decades, including the time when Route 66 was in full swing (before the I-15 age). 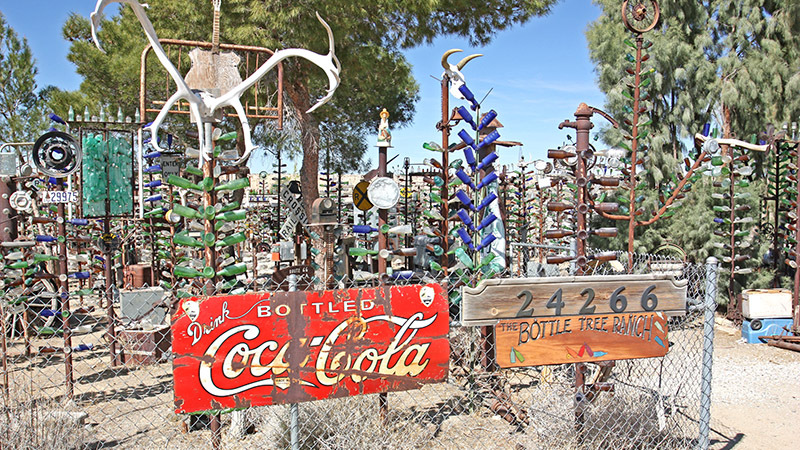 It is still owned by the same family today and is still a favorite among Route 66 travelers. The eatery has been showcased on several TV shows. If you are planning on making this road trip, try to schedule your trip for a breakfast or lunch stop here. You won’t be disappointed and the waitress might just spill some mustard on you. Shortly after Hollandburger, you’ll notice a lot of power lines. The oldest of these power lines were built in 1930 and are the main lines between Hoover Dam and Los Angeles. Since 1930, many other lines have been built to help with increasing demand in Los Angeles. The steel bridge that Route 66 crosses over roughly 3 miles from the museum is unique in many ways. For one, it’s design is unique whereas the steel trusses meet at odd angles because of the way the bridge was built over the Mojave River. It is also the only bridge of this type that Route 66 crosses in California. The railing along the roadbed exemplifies ornate ironwork that was common when the bridge was built in 1932. 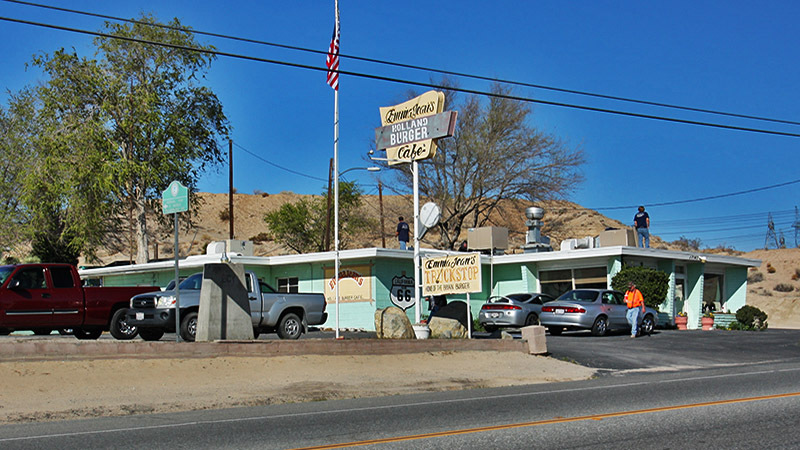 The below video “virtually” takes you on Route 66 from Victorville to Helendale.